There are many reasons why someone might feel that God has no personal interest. Some conclude God is uncaring because something bad has happened in their lives. 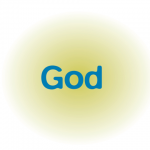 Some think God is too big and busy to be involved with them. Others figure they are born, live and die without any Divine involvement. No matter why you may feel that way, consider some facts. Depending on who you believe, your body contains somewhere between 10 and 100 trillion cells. Year after year, decade after decade those trillions of cells do their specialized tasks without an oil change, a major overhaul or tire rotation. Christianity believes that God, our Divine Designer is the One Who has fashioned us with an efficiency no human engineering team could claim. That most of us can count on functioning for close to 70 years without major breakdowns is proof that God cares. There is one other reason why I can be sure God is interested in me. He tells me so. Knowing my wrongdoing would condemn me to hell. He sent His Son, Jesus to live the perfect life I couldn’t live; die the death I deserved. Jesus’ resurrection says God cares for all of humanity, but He also cares for you! “…do not be anxious about your life, what you will eat or what you will drink, nor about your body, what you will put on… Look at the birds of the air: they neither sow nor reap nor gather into barns, and yet your heavenly Father feeds them. Are you not of more value than they? ….And why are you anxious about clothing? Consider the lilies of the field, how they grow: they neither toil nor spin, yet I tell you, even Solomon in all his glory was not arrayed like one of these. But if God so clothes the grass of the field, which today is alive and tomorrow is thrown into the oven, will He not much more clothe you, O you of little faith? Therefore do not be anxious, saying, ‘What shall we eat?’ or ‘What shall we drink?’ or ‘What shall we wear?’ For the Gentiles seek after all these things, and your heavenly Father knows that you need them all” (The Bible, Matthew 6: 29-33, excerpted). “In this the love of God was made manifest among us, that God sent His only Son into the world, so that we might live through Him. In this is love, not that we have loved God but that He loved us and sent His Son to be the sacrifice for our sins” (The Bible, 1 John 4:10-11).